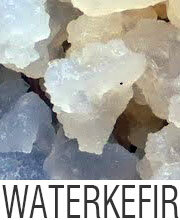 Water kefir is considered to be even better than milkkefir and the effect is similar. The inhabitants of the Caucasus Mountains know the effect of Kefir. Right from their childhood they drink it like water, and average life these people aged 110 years. This is one of the few places in the world where most people reach an advanced old age in perfect health. 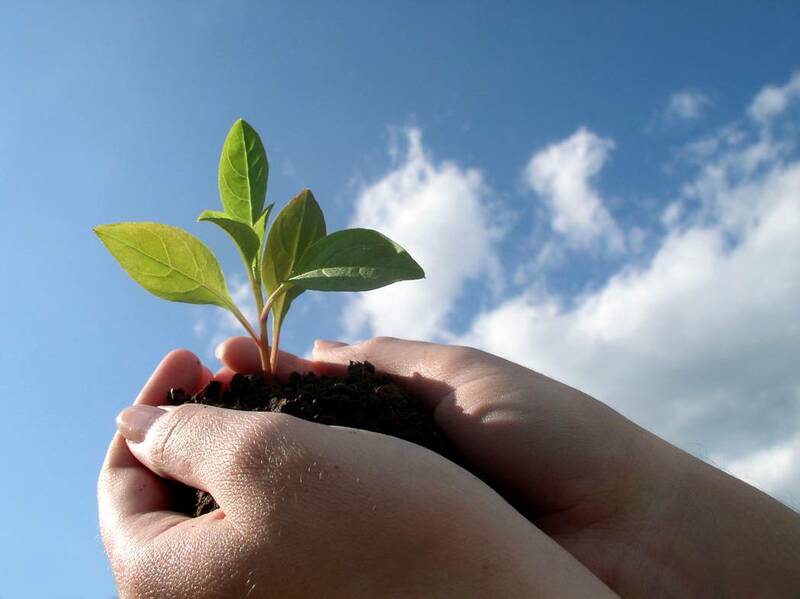 According to Dr. Menkiw who Kefir has already examined his life, his tuberculossis, cancer, disease, etc. as unknown. Dr. Drasek of Germany had the good effects of Kefir observed before the Second War. It is important to know the ideal sugar to water ratio when you are preparing water kefir. Without knowing the ratio, you wouldn’t be able to make water kefir. The optimum ratio is 3 parts sugar and 20 parts water. It means 3-10 % solution of sugar and water. So, if you take one cup of water, then you will need one tablespoon of sugar. During the summer season, you can use a little more sugar. Unless and until you get this ratio correct, you won’t be able to make water kefir. After getting the perfect sugar-water solution, you have to think about the kefir to solution ratio. The dried kefir grains can ferment generally between 1:16 to 1:18. It implies that for 1 cup of sugar-water, 1 tablespoon of kefir grains is perfect. With the passage of time, you would notice that 1 tablespoon of water kefir grains can ferment 1 and a half cup of sugar-water. During the summer season, it is observed that 1 tablespoon of kefir grains is perfect for 2 cups of sugar-water. This is because the growth of kefir grains is faster in the summer season. If you are a beginner, then start with the ratio of 1:16 to 1:18 which means 1 part kefir grains and 16 parts sugar-water or 1 part kefir grains and 18 parts sugar-water. This ratio can never go wrong and it doesn’t require any adjustments. All kefir grains are not same. Therefore, you may find some grains to ferment quickly, whereas some other grains consume a lot of time to ferment. Especially during the winter season, a huge delay in fermentation is noticed. For 1 and half cup water, sometimes 4 tablespoons of kefir grains are needed. 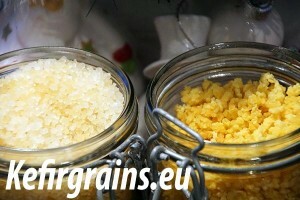 Both types of kefir grains have their own set of advantages. The kefir grains that ferment fast are called fast grains. They are needed in fewer amounts and here lies their advantage. The kefir grains that ferment slowly are called slow grains. They are needed in larger amounts and so you can have kefir frequently. You can use the finished kefir as a starter along with the kefir grains and here lies their advantage. 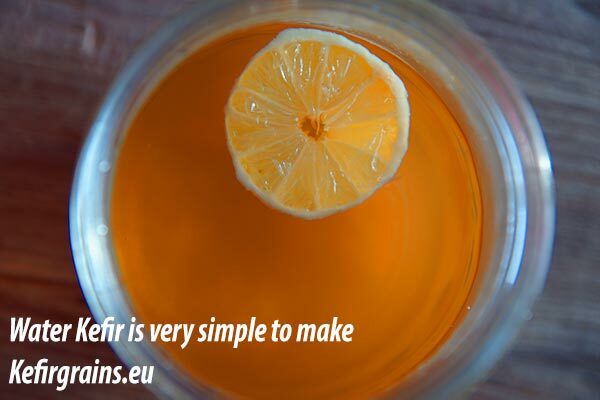 If you find that the kefir is too sour in taste, then adjust it by using less grains or using more sugar-water. 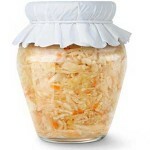 On the other hand, if you use too much sugar-water and very little kefir grains, then there would be no fermentation. Therefore, it is very important to keep the ratio in your mind. When you are preparing kefir, do not forget to keep the ratios in your mind to prevent disappointment. 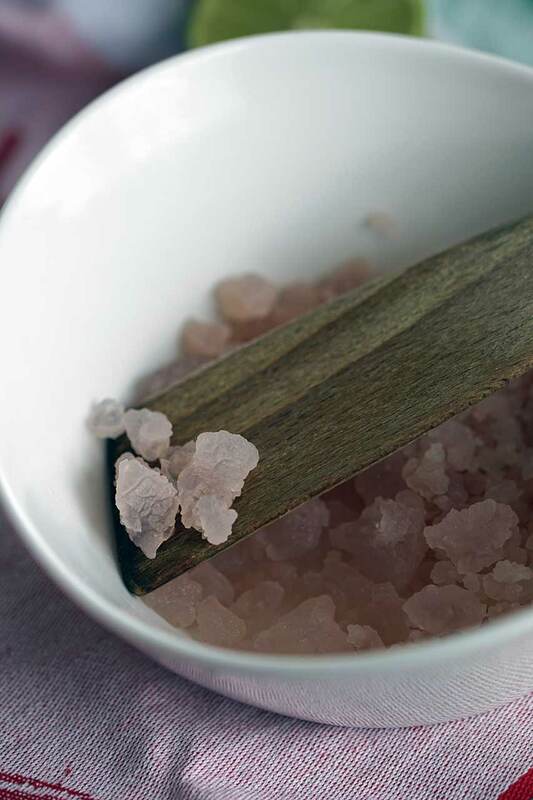 How to activate dried Water Kefir Grains ? Water kefir is a very healthy beverage. It is made with sugar water and water kefir grains. 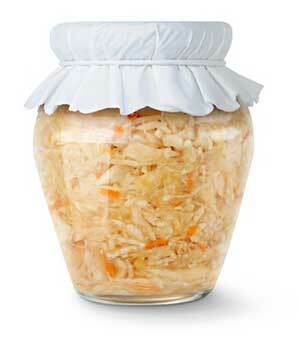 The plenty of probiotics present in this fermented beverage can improve the digestive system of your body. 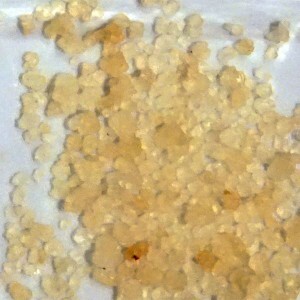 Water kefir grains are different from milk kefir grains. 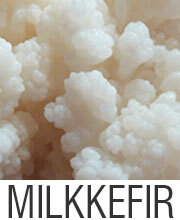 The milk kefir grains are white in color whereas the water kefir grains look more as semi-transparent crystals. 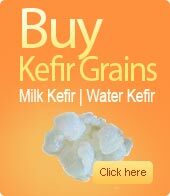 Though you can easily buy fresh kefir grains, using dehydrated kefir grains is a better idea. Especially if you have a friend who regularly makes water kefir, then she will surely have some stored dehydrated grains which you can use to make kefir. 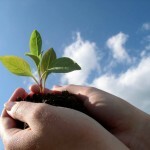 In this fast paced life, it is sometimes difficult to buy fresh kefir grains as they have to be dealt with, right away. Dried grains can be used whenever you have time. The dehydrated kefir grains would look yellowish brown or reddish brown in color, when you would purchase them. Instructions are written generally on the back cover of dehydrated kefir grains which tells to soak the dehydrated grains gently in a sugar mixture and keep it undisturbed for a few days. It is better to soak the dehydrated grains in sugar mixture for about 3-4 days. 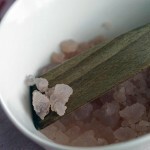 To rehydrate the water kefir grains, you need to prepare the sugar mixture first at room temperature. Take four cups of water and dissolve 4-6 tablespoons of sugar in it. Stir the water so that the sugar gets totally dissolved in it. It would be better if you use mineral water or purified water instead of chlorinated water. You can use either brown sugar or white sugar, depending on your preference. 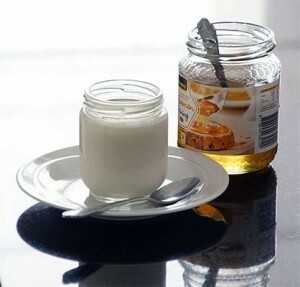 Now you should pour the sugar water mixture into a big glass jar. Add the dehydrated kefir grains in the jar. Now cover the glass jar with a coffee filter or a tea towel. You can fasten it with the help of a rubber band. 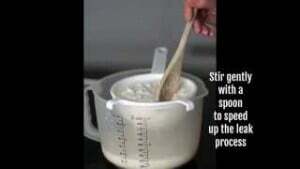 Allow the grains to become plump in the sugar water mixture. Let the grains get rehydrated properly for about 4-7 days. 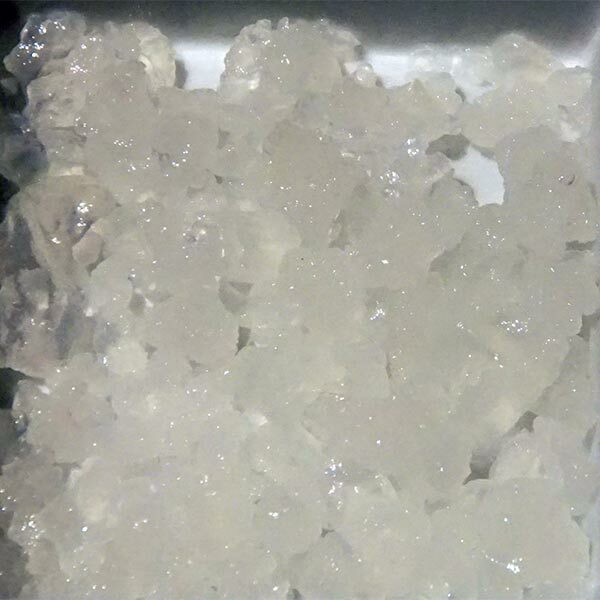 Thus, you can see that the process of rehydrating kefir water grains is so simple and easy. 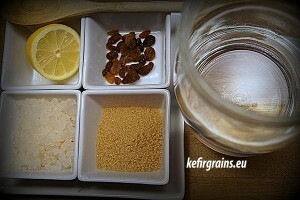 Once you have rehydrated the kefir water grains, you can proceed with making water kefir. Tagged How to rehydrate water kefir grains ?